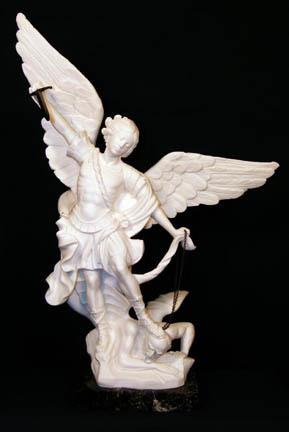 St. Michael in all white alabaster on a marble base, 23". 1600-W, St. Michael in all white alabaster on a marble base, 23". 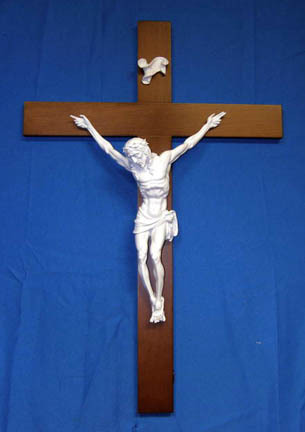 St. Michael in all white alabaster on a marble base, 23". Made in Italy. Wings & sword must be screwed in.